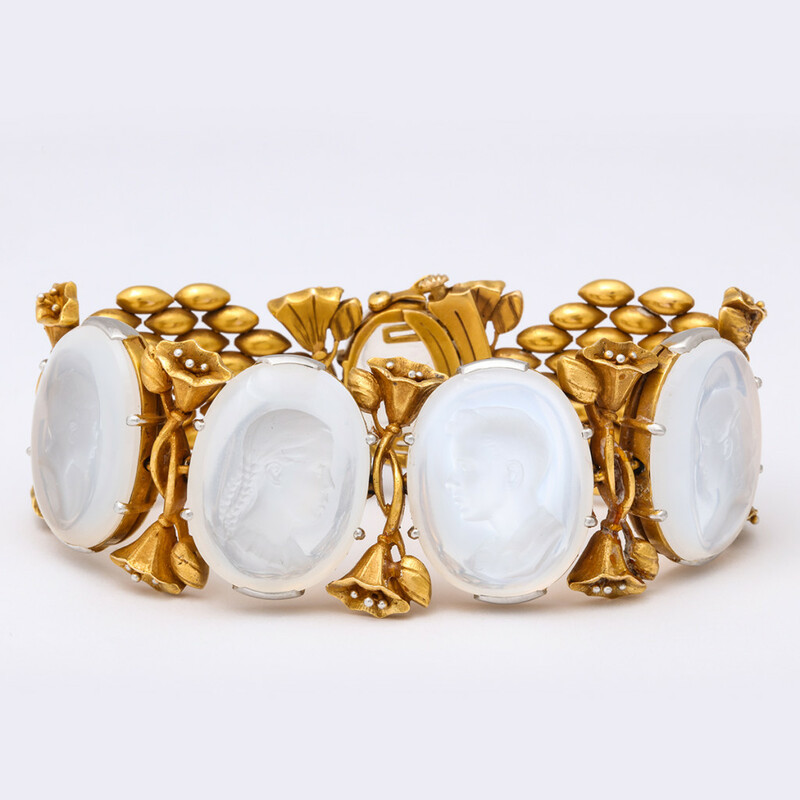 18k gold bracelet with moonstone intaglios depicting Connecticut Senator William Benton and his four children. Benton was an avid art collector and ALVR client. Read more about him and this bracelet here.